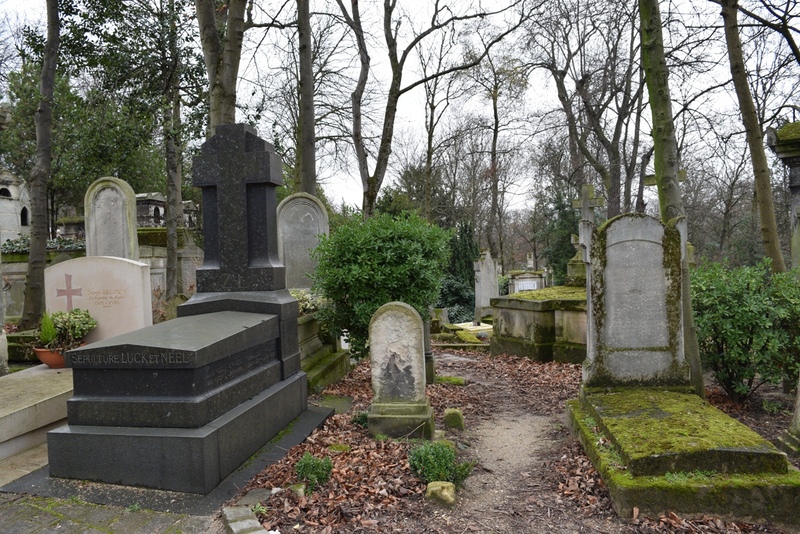 In the 20th arrondissement of Paris you can find the world’s most visited cemetery, Père Lachaise. 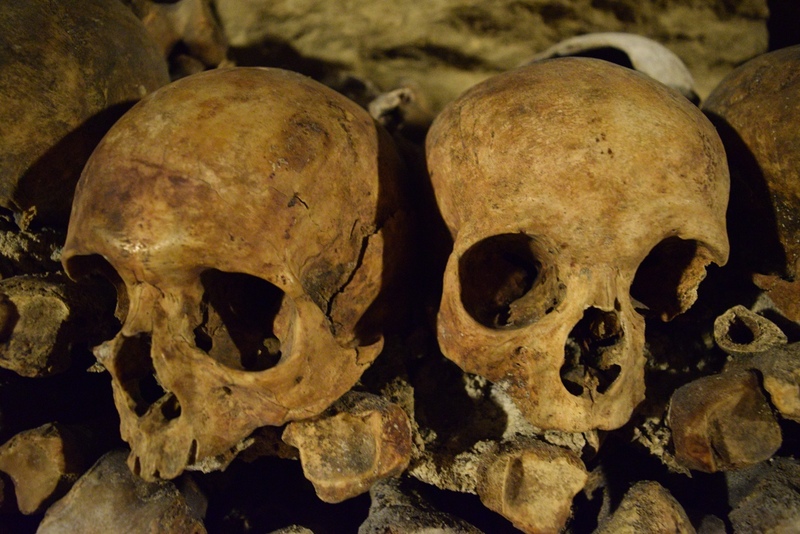 It opened in 1804 and it’s the largest cemetery in the city of Paris (44 hectares or 110 acres). It is also the site of three World War I memorials. We visited Père Lachaise on a cloudy February morning with our wonderful couchsurfing host and another guest he was hosting. We must have been there for around 3-4 hours, just getting lost. While seeing the grave of Oscar Wilde and Jim Morrison is a must, this is a serene place steeped in art and history, interesting even if you don’t seek celebrities. Other notables buried here are composer Chopin, playwright Molière, poet Apollinaire, writers Balzac, Proust, Gertrude Stein and Colette, painters Pissarro, Seurat, Modigliani and Delacroix and chanteuse Édith Piaf. Before skipping to photos, I’d like to talk the name of the cemetery. It’s taken from the confessor to Louis XIV, Père François de la Chaise (1624–1709), who lived in the Jesuit house rebuilt in 1682 on the site of the chapel. The property, situated on the hillside from which the king watched skirmishing between the Condé and Turenne during the Fronde, was bought by the city in 1804. Established by Napoleon in this year, the cemetery was laid out by Alexandre-Théodore Brongniart and later extended. Short history lesson over. Let me take you around now. Who doesn’t love a great shot of the Eiffel tower while in Paris? Preferably somewhere not crowded, so you don’t have to move all the time to capture the moment. In this post I’m talking the less known spots for photographing Sacré-Cœur, Eiffel Tower and Notre Dame. Most of those were empty when we were there. They offer a wide variety of products, mostly well-known brands, so if you’re on a budget, this is not where you do your shopping. The building is beautiful, inside and out, and although the series of escalators can get a bit confusing, it’s very much worth visting. 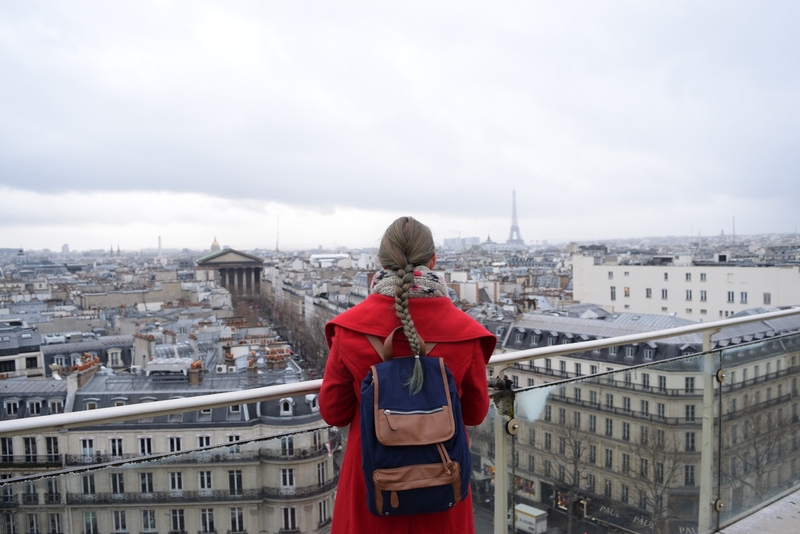 On 9th floor there’s a restaurant and a rooftop terrace with free access to the public, offering the most spectacular view over the surrounding Paris skyline. On left side of the unimpeded 360 degree view you have Pantheon, Eiffel Tower and Arc de Triomphe, while on the right side Sacré-Cœur stands out in all its beauty among the typical tin roofs of Paris. If you wish to grab a snack, I was told that the food here is very tasty and cheap. However, there is no requirement or expectation that you must buy anything to visit the terrace.